Tire Pressure Monitoring System (TPMS) And Why You Want One! This is our plea to RV’ers and as such, a Public Service Announcement! So please, please be so kind to share this post with others. As the title says…”Why You Want One”. And yes, YOU WANT ONE if you currently do not have one. 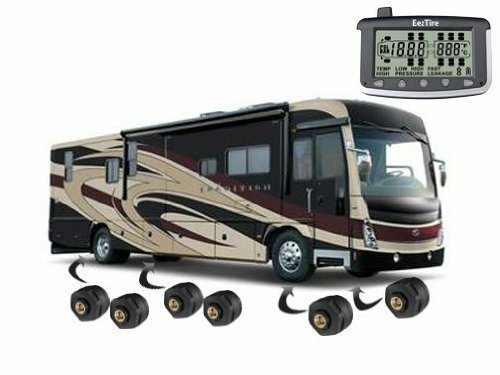 A Tire Pressure Monitoring System, TMPS as they are referred to, are just that, a sensor driven system that monitors and reports on the current pressure of your tires on not only your motor coach, but also the car, suv, trailer, or whatever you may be towing. Let me put it to you this way, a 32,000 lbs coach or even larger, pulling a 4,600 lbs SUV and the SUV blows a rear tire…will you know it? Really, will you? Nope, you will more than likely never feel it as the mass of the coach and the shear power of it would mask any resistance you would feel. But besides that, I really would want to know if I was loosing air due to a nail or something while driving or even before I pulled out. And thus the Tire Pressure Monitor System comes into play. Each tire is fitted with a little sensor that replaces your air valve stem cap. It will take a reading of your tire pressure and even the heat it can read through the valve stem. All systems I have tried allow you to set a high and low pressure point as well as heat level at which to sound the alert. However, heat is really not used as a high alarm and is usually left a high default value. But continue reading as to WHY you want to monitor it. The better systems also monitor for slow leaks. Now this is important as some systems will only alert once the pressure gets below your set limit. I however want to know if I am loosing X amount of air over a given period of time thus BEFORE it gets down to my low set point. Why? Well as you drive, your tires heat up and pressure increases in the tire. The hotter, the more pressure. It is not unusual to see a tire pressure climb 15 PSI or more based on the temperature. So, say that I run my front tires at 115 PSI, and my low point is set for 105 PSI. When driving, my tires may go up to 125 PSI. If I pick up a nail and start to leak, I want to know it before it gets to my low set alert point which would be already a 20 PSI loss. So a good TPMS also monitors the CURRENT tire pressure and thus will alert me if I loose X amount of pressure over X amount of time based on the last high pressure reading. You may be asking why I would set my low point at 105 PSI then and not like 112 or something closer to what I set my pressure at. Well, that is because the reverse happens when a tire is cooled as the pressure will lower. If I have it set to close, then even overnight when the outside temp drops, so does the tire pressure and my system will wake me up if left on. 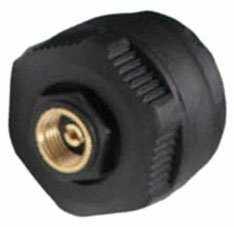 A TPMS is also not just for driving, it is also for starting out. Let’s face it, most of us do not go out and “thump” our tires to check them. As such, when your system is on, even when parked, it will alert you if your tire pressure drops from that nail you picked up coming into the park. After all, you may be able to see a front tire being low, but you will not be able to see the duel tires on the back as being low as one tire will keep the other lifted. As such, you could roll out never knowing you already have an issue and you are then just going on borrowed time as one tire is not meant to carry that weight. At the same time the low tire will also be building heat. For as the more it contacts the ground due to the low pressure, the more heat it builds. You can guess what may soon happen based on one of these tires. As far as to what you may be towing…MONITOR THOSE TIRES ALSO. As mentioned, if you blow a tire in whatever you are towing, you more than likely will not know it until some nice person pulls up to you and gets your attention. Nope, they are not trying to be nice waving at you as they go by…they are trying to tell you that you are dragging what you are towing. You might not even be able to tell in the rear cam until you start to see the sparks from being down to the rim. These rigs we drive are so large and have so much mass and torque in the engine, that car you are pulling with the flat means nothing too it. (However that car will surely push you when trying to stop if you do not have a supplemental braking system, but that is for another chat.) You don’t believe you would not know it? Check out this video that I am picking up at 3:54 into it, and remember, you are seeing a smaller RV that is much much older and thus even less power than todays coaches and the guy never knew it. 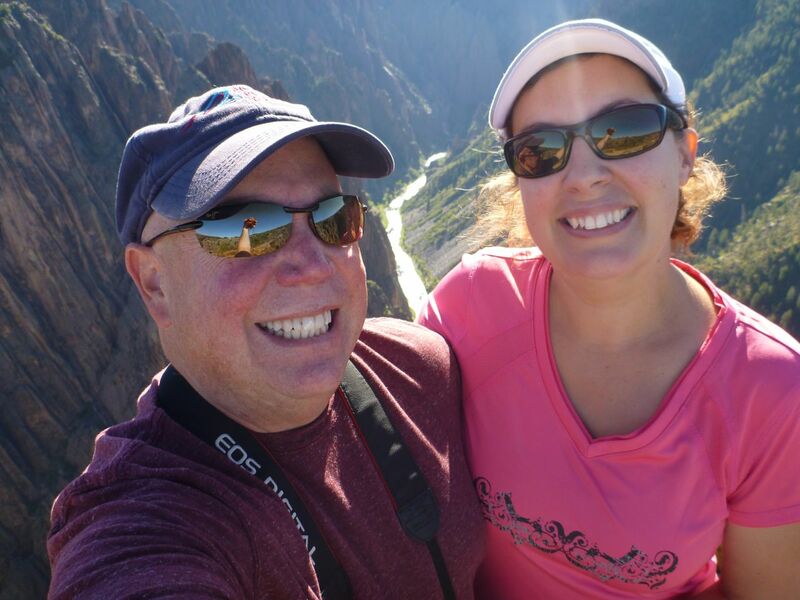 He was being followed for 6 miles… CLICK HERE. So remember above I mentioned to read on…well…the TMPS system worked so well on our first trip with it as I was actually able to see that my front driver side tire of my Saturn Outlook was running hot as the temperature reading was much higher than the other tires. (I check them from time to time looking at the readings.) When I stopped I used my IR Heat Gun Reader and took a reading to be sure it was not the sensor sending bad data. Sure enough, the tire was 14 degrees hotter than the other tires. I looked at the brakes and sure enough, they were thinner than the others and more brake dust was on the rim. This is a sign that the caliper was not releasing all the way after the brakes were applied. So I took it in for service and the TPMS may have just saved us from a future braking issue. Note, even though it was not OVER HOT to make an alarm sound on the monitor, the system did allow me to “see” an issue that the brakes were making based on the increased temperature reading. Oh, about the tire sensors, no worries on weight or anything as they are very small and will not have any affect on balance or valve stems. We have put 130K miles on our Saturn between driving and towing it and it is a non issue. I take off the theft protection caps as I do not find a need for them as I have never heard of someone stealing one. I also then do not need to fight to get it off by needing to use a special tool. I also did not see any need for the larger “flow through” sensors as I still need to remove the value cap anyway, so why not just remove the sensor? As far as battery life of the sensors…I get about 1.5 years on them and they are very cheap to buy. CR 1632 Batteries…25 pack for under $10. One last thing…You will want to use a booster especially in larger coaches. This goes for any TPMS system as you do not want to miss your sensor signals. I also did a short video talk about this topic… Again, please be so kind to share it. Side note…I also made a video long ago doing an open box of the EezTire and simple install info. It is on their website and you can find it here on our YouTube Channel. UPDATE: Seeing I usually get asked if I will help program a TPMS if someone would buy one after I tell them about why they should have one, I got proactive. 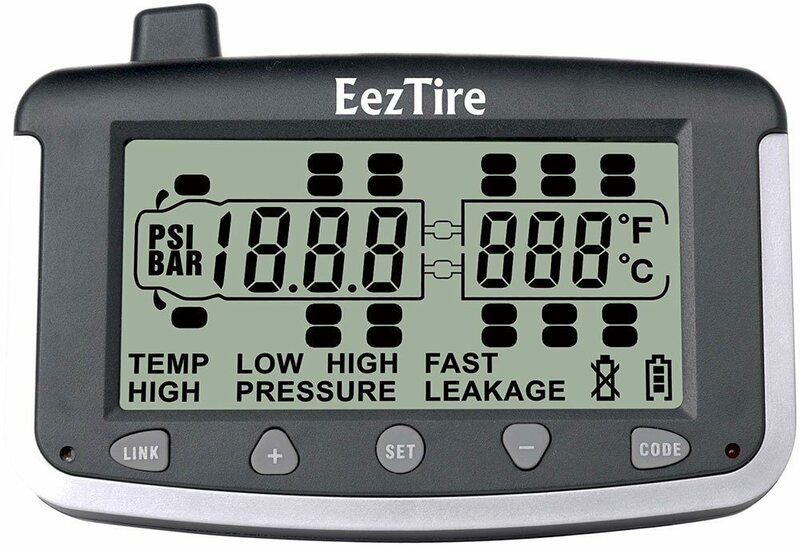 So to get you going quickly I contacted EEZ RV Products, maker of the EezTire TPMS system, and got them to offer FREE PROGRAMMING with FREE SHIPPING. You need to purchase directly from their site. Be sure to add the programming package into the shopping cart and use coupon code Bubble at check out and also choose USPS Priority Mail and use code Freeship for the free shipping. Any other TPMS company that cares to offer the same, please reach out to us and I will add you above. The idea is to just get them on RV’s with no fuss. NextHeard of a Kamado? Neither Had We! Dave I followed the link to the TPMS site and it looks as though, as least as of today, that the free shipping offer is no longer available. The pre-programming discount still looks to be available. Well I guess it could not last forever. My suggestion, give them a call, talk to Tom, and mention you had seen it on the site. David I will do that. Question: With this system are you able to get a pressure reading from each tire PRIOR to rolling down the road. I, too, had the Pressure Pro system and really liked the fact that I could check all of my pressures before I started each morning. Yes, you surely can. If you have it off and then turn it on it will can take up to 10 mins to get all the readings reported. So you turn it on as you are starting to ready to leave. REMINDER…If it is cold out, you could get a low pressure reading based on the pressure dropping when cold and rising with heat. Thanks for all the hard work you do helping all of us! I have had two TPMSs that I was very unhappy with due to false alarms, alarms that were too quiet, not real time, etc. Now that you have been using the EEZTire system for a while and have used it under all different temperature, road, and weather conditions, are you still happy with it? If you had to do it all over again would you still choose this system? Hi…It is still the only one I would recommend as I really have not had issues with it. I also recommended the repeater/booster to go with it. Great, thank you for the quick response. Here’s another question for you about an issue that’s always confused me. After checking my MH weight on all four corners individually and checking with the tire manufacturer’s pressure recommendations I have determined that I should drive with my tires at 110 PSI. Here’s the issue and I don’t know if it comes from advice that is 50 years old, but it makes no sense. I am to be driving down the road with 110 PSI in my tires at all times. EVERYTHING says inflate your tires cold. OK, so if I inflate my tires to 110 PSI when they are cold, after a while on the road and especially if it is in the summer, I now have 120 or 125 PSI in my tires. (which exceeds the wheel max rating). I’ve filled them with nitrogen and it didn’t make much difference at all. Truckers check their tire pressure all the time after they have been driving for hours. This whole “inflate cold” seems like urban myth based of bad assumptions and bad science. It seems to me I should adjust my tires when they are hot so that I am driving with them at 110 PSI as suggested by the weight measurements and the tire manufacture. If they are 95 PSI or so when the MH is sitting – so what, that doesn’t matter. The pressure is always done COLD as the tire manufacturer already knows the temp will increase about that when driving. So even though it mat say MAX PSI 120, it means COLD knowing it will increase. You always what to inflate per the pressure on the chart based on the. I would not think that you would be running 110 on all tires as the weight will be different in the front than the rear. As far as the truckers. Remember, they pickup and drop off loads. So they do check more often and adjust knowing from experience if they should add more or remove some. Over time I learned to know what to expect to see my pressure rise to based on the outside temp. Like I know my fronts being at 110 will rise to about 119 to 125 in 80to 85 degree weather when driving. It all varies based on sun or no sun and even what side the sun is on they that side will likely be higher. In our case, we know more or less what the temp we like to stay at when we travel. I can could only about 75 to 85 degrees so when I am in such a temp rang, I check my tires cold usually in the afternoon as the morning are cooler. So, if you have moved from one temp zone to another, and you will be driving in that higher or lower temp for some time, you make the adjustment. This all only matters when you are driving. IE…we can site for 4 months in the summer and I would likely check/adjust when we leave based on the temp and where we are going. You can not keep it exact…but you can do you make to know you at least started off correctly. I disagree. If the tire charts state my RV should have 100 PSI in the tires for the weight I am carrying then 100 PSI is the proper pressure. If I am driving in Arizona in the summer and the air in the tires has expanded and now the pressure is 125 PSI then those tires are now over-inflated. I am not discussing whether the over-inflated tire is in danger of blowing. I am discussing proper tire pressure. So if we are using atmospheric air to fill our tires and we start the day with the recommended PSI then in reality we are only running the recommended PSI for the first 30 minutes or so and the rest of the day our tires are over inflated. Ideally we would fill our tires with a gas that would never expand, fill to the proper PSI and we would always maintain the proper PSI throughout our entire driving day. As old school has it, we just fill the tires cold and let it expand to whatever it is going to expand to because that’s all we can do. Most of the day we are traveling on tires that are unnecessarily running too high of a pressure because we do not have the option of a Stemco Automatic Tire Inflation System. Thanks Michael. I might kindly suggest you contact the manufacturer of the tire. All tires are said to be filled to pressure COLD as it is expected to climb in pressure based on temp. “Tire pressure ratings have been designed with typical running heat/pressure build-up in mind.” per Goodyear. The charts are not Ng charts, they are based on O2. The system you show is to balance the pressure between the two tires. It will equalize the pressure between them. If it was to let air out to lower the pressure, it would not be able to add it back in to when they cooled down. So their is no way for it to “It ALWAYS maintains the proper PSI no matter the temperature”. It also can be a TPMS system as they have that also for it as it is also an alert system. It is made for truckers to keep track of the tires on the cargo trailers as the weight changes a lot. So, maybe I am totally wrong, but I surely can read what the fill charts state when I look up our tires with the weight we have on each with out coach. But don;t take my word for it… http://www.goodyearrvtires.com/tire-inflation-loading.aspx There are also many other places to find out more. No, the system I showed maintains proper tire pressure in all tires at all times. So yes, ““It ALWAYS maintains the proper PSI no matter the temperature.” If the pressure builds up it releases pressure, if the tire pressure is too low it adds pressure. It is not a simple “crossover” system. If that is true then those running Ng are running too low of a pressure. Racing tires use Ng because they want as much as possible to maintain a specific tire pressure. RVers, just have to take what they get because they don’t have the option of a Stemco system. Nice and very cool that they can do that on a moving tire. Not sure how that is done…but very cool. I bought a Hawkshead system and have had good results.